The only “Revenue Verified” group where your Amazon sales in the last 12 months must be 1 Million or more to be approved for entry into the group. No more newbie questions, only high level conversations. In this group, we require participation through comments, questions, tips and more. 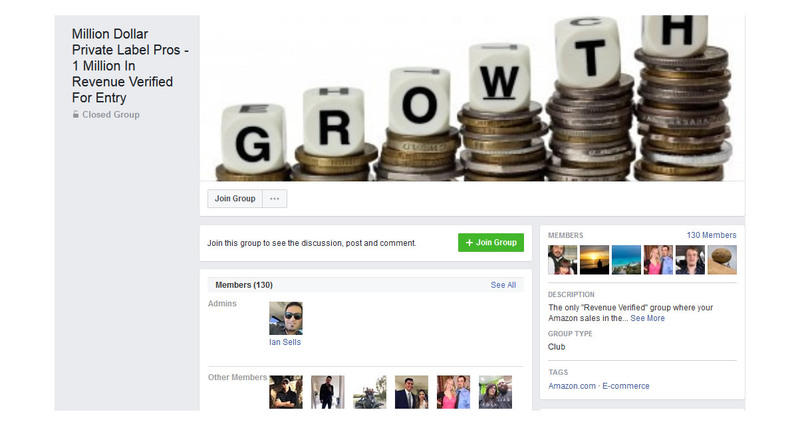 If you don’t add value or engage in this group you can be removed. You get what you put in. You grow by helping others. Don’t reinvent the wheel, optimize it. We don't have wiki content for Million Dollar Private Label Pros – 1 Million In Revenue Verified For Entry yet. Are you familiar with Million Dollar Private Label Pros – 1 Million In Revenue Verified For Entry? Please quickly share in your own words what Million Dollar Private Label Pros – 1 Million In Revenue Verified For Entry is all about! Share in your own words what Million Dollar Private Label Pros – 1 Million In Revenue Verified For Entry is all about.